Just like yours, my area is buzzing with the excitement that is 2011. Now that Christmas is over, the next big event we're celebrating is the arrival of 2011. Everywhere we turn, we see shops and restaurants getting ready for this event with special New Year promos, sales, giveaways and what not. 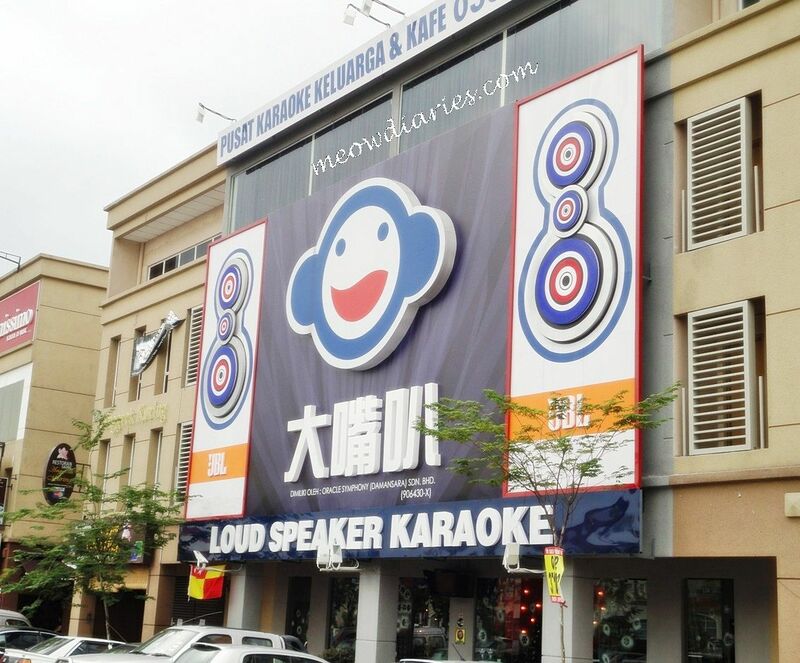 Yesterday, we passed by the new Loud Karaoke Lounge in our neighbourhood, which looks pretty family-like to me. 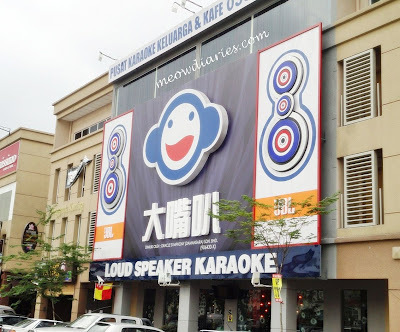 The huge smiley logo on the sign board is a dead giveaway don't you think? This lounge is fairly new and currently it has a Christmas theme going on. We did notice the Pandora karaoke machines and lounge decor were slowly being altered to accommodate a New Year theme so it looks like this place too will be ringing in 2011 in style. The lounge was pretty quiet when we popped in to check it out; it was dinner-time after all. When the place is packed however, we can actually hear the wannabe singers and party-goers screeching and singing their heart out from the Kopi Tiam a few doors away. Anyway, B and I are not karaoke goers. We've tried this a few times but it's just not our cup of tea I guess and we'd much prefer having friends over for a Casino night or something. We're lazy that way I guess and we think it's always better to do something that we both love and not just tolerate. So 2011 is creeping upon us and I'm wondering what New Year plans you have in store. B and I will most probably have a nice quiet dinner in a nice restaurant and so far karaoke is not on our agenda! I've been thinking a lot about my New Year's resolutions for 2011 as well and here is my list. I'm keeping it short and sweet and believable this time, how about you? 1. Focus more on my freelance work and blogging to achieve more money from both! 2. Declutter. I am following Oprah's advice to declutter my home, regain my living space and enjoy the energy that comes from living in a spacious new environment! 3. Worry Less and Start Living! 4. Eliminate ONE credit card! Those are realistic resolutions for sure, and I can relate to them as well. I'm not sure what I'm doing yet for New Year's Eve, but I do know what I'm doing the first of the year. happy new year mariuca. unfortunately, i'm currently in a muslim country and they already celebrated their new year's day based on their muslim calendar. in the previous years, i haven't seen nor heard any firecrackers during new year's eve.